This lovely fortepiano by Gerard Tuinman (Utrecht, Holland) is owned by Heidrun Bergander. Just look at the delicate hammer action! Ah! 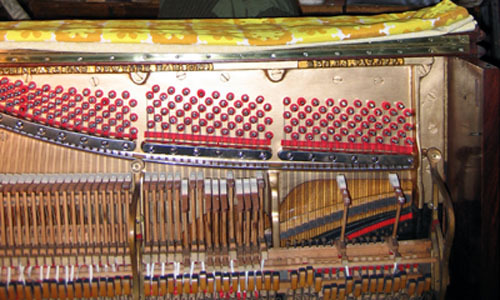 Tuning a Steinway D – it’s just like being back in the factory, everything’s so familiar and straightforward – especially when it’s a superbly reconditioned instrument by Jeff Shackell.